A 100% carbon shaft with a 10° bend makes the Lyric both lightweight and strong, and gives each stroke a slight amount of flex for very comfortable performance. 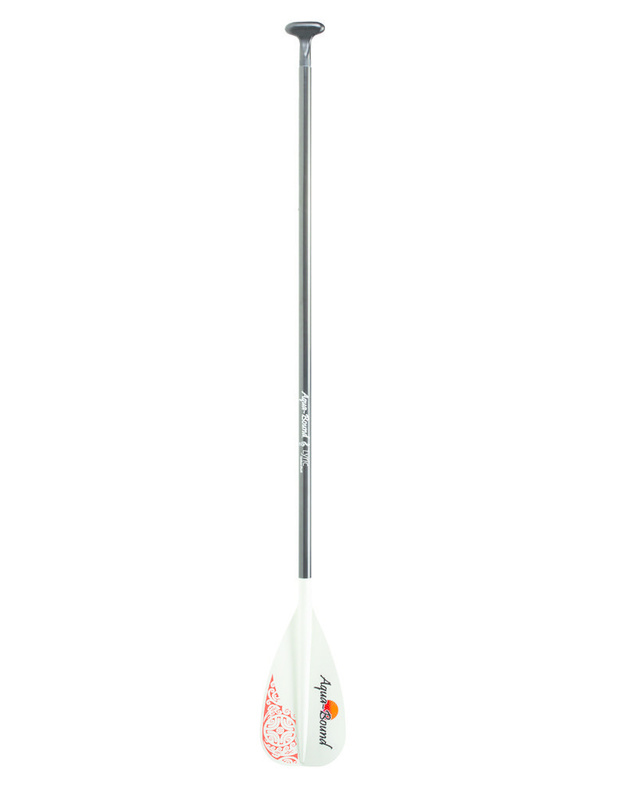 The Lyric’s blade is made of epX engineered polymer, a proprietary technology from Aqua-Bound, which produces enhanced blade stiffness and strength, while providing a smooth pull through the water. The aggressive dihedral shape of the blade down its spine makes for a forgiving and smooth forward stroke without any flutter. 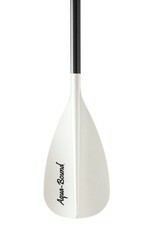 The blade’s 85 sq. in. 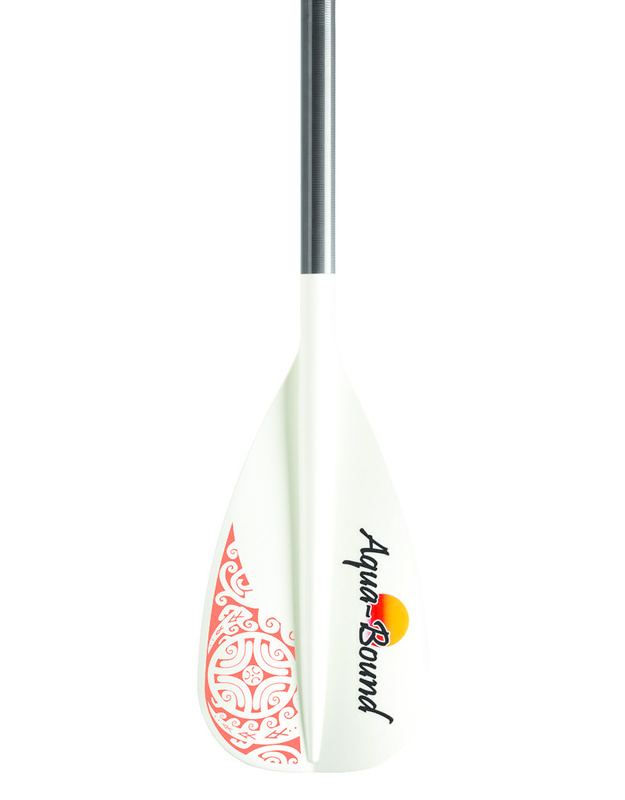 size makes the Lyric ideal for women and smaller paddlers or for paddlers who use a high-cadence stroke. 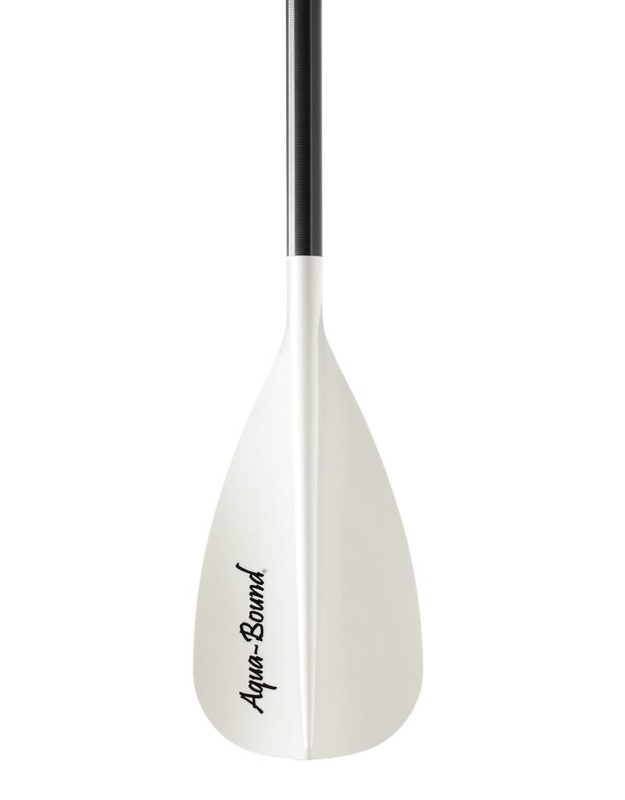 With its white blade, the Lyric complements almost every SUP board. Its cool Polynesian graphic speaks to paddleboarding’s inception in the 1960’s surfing culture of Hawaii. The Lyric is available in adjustable length 2-piece and 4-piece options. If you have an inflatable board, the 4-piece paddle is your perfectly portable solution. 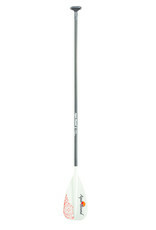 The adjustable lengths are 64-74 inches, 70-80 inches, and 76-86 inches. 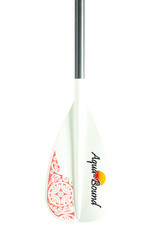 Like all Aqua-Bound paddles, the Lyric is hand-built in Osceola, Wisconsin, USA.